In hind site, I forgot to do my ab workout. Woops! I may be the only person in the world that needs a check-list to exercise properly! I had apparently taken enough days off that I didn’t really want to get dressed up and go out in to the cold (whine whine whine.) I am becoming a firm believer that your attitude can make all the difference when putting one foot in front of the other, so after I was dressed and got my phone doing all of the things it is supposed to be doing (I ❤ Radio, Cardiotrainer) I headed out with a smile on my face! My left shin was tight, but this isn’t an abnormal occurrence and it usually loosens up. Sure enough by the 1/2 mile marker it had, but my right calf started tightening. I figured it to would loosen up. Wrong. I slowly got tighter and tighter – even with stopping several times to stretch it out. Once I hit the three-mile marker, I was close to my kid’s school – around the time my wife was supposed to pick them up. So I bummed a ride home. 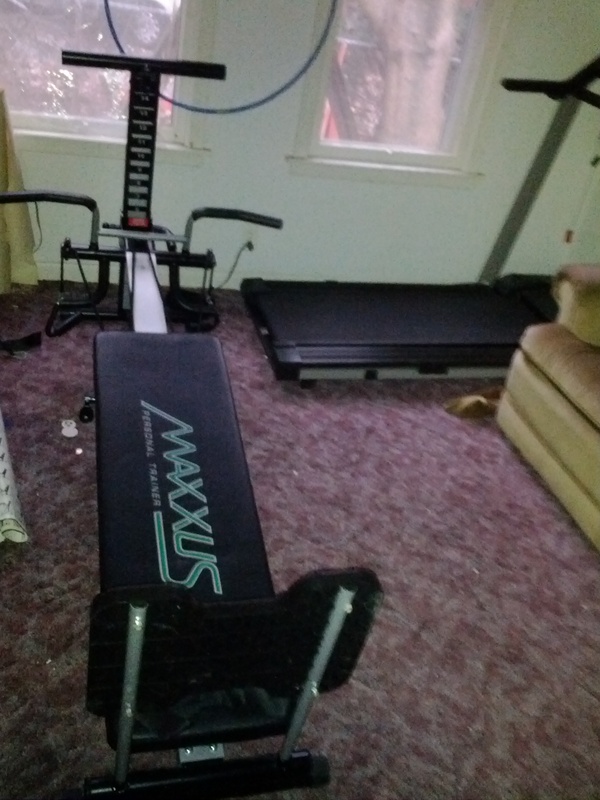 My "Home Gym" includes a treadmill too! This morning, I felt an all-to-familiar pain still in my calf. I had hoped it would loosen up overnight, but it didn’t seem to very much. I will spend the day massaging it and seeing how it feels. 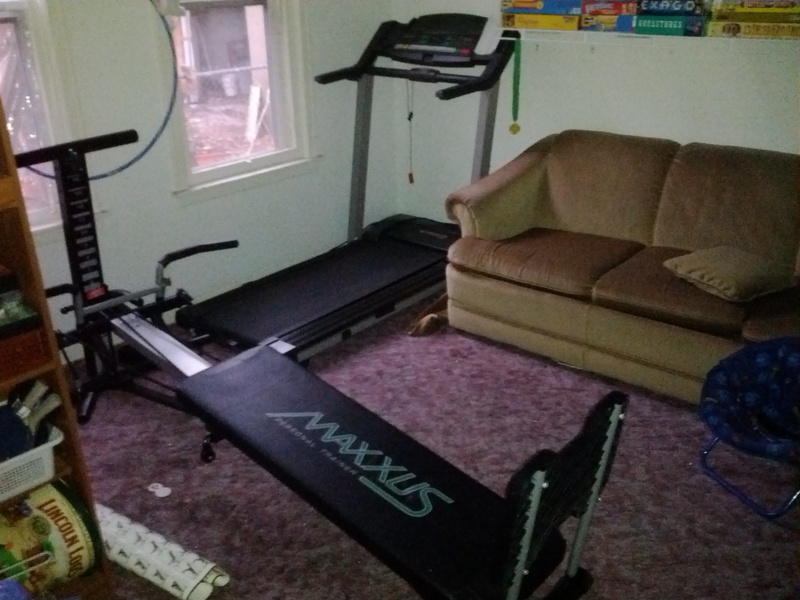 If it does feel up to running, I will stick with my treadmill. Otherwise I may head to the YMCA and use the stationary bike. Great time to borrow the kids kindle fire and watch some TV! ‹ Added lifting in.. Again..